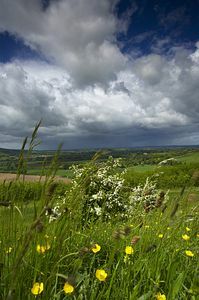 Although it is a long way from Arabia, Clouds Hill was the simple Dorset home of writer and British Army Officer, T.E. Lawrence, also known as Lawrence of Arabia. After his premature death following a motorcycle accident, his brother donated Clouds Hill to The National Trust in 1937 and it is now a tribute to his life and work. 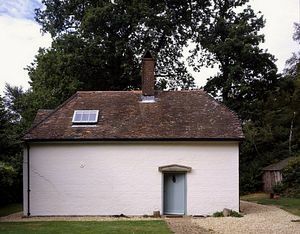 The labourer's cottage was built in 1808 as part of the Moreton Estate and for many periods was unoccupied. By 1922 it had fallen into a dilapidated state and some restoration had begun when Lawrence discovered it and decided it would make an ideal retreat from Bovington Camp where he was serving in the Tank Corps. Winston Churchill at the Colonial Office until 1921 and later returned to the RAF under the assumed name of T.E.Shaw. Lawrence initially rented Clouds Hill for ten shillings a month but later bought it. It was here that he revised his "Seven Pillars of Wisdom" and was a haven he enjoyed sharing with his writer friends - Bernard Shaw, E.M.Forster and Thomas Hardy among others. During the 1930s he served at RAF stations away from Dorset and lent the cottage to friends, but gradually the garden was planted, the house was improved and a water supply was added. Today the cottage can be seen much as he left it. It has just four rooms with a central staircase. His beloved library of 1,250 books, many of which were autographed copies from his literary friends, once filled the bookshelves but it was later dismantled. 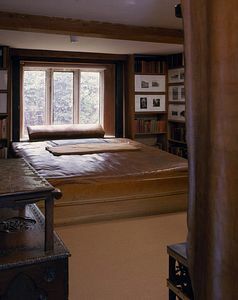 What remains is his long leather couch which he sprawled on to read. The fireplace was used to warm up canned foods and make tea, in the absence of a kitchen. The other ground floor room was his music room which has a beamed ceiling and candle sconces. His prized gramophone with its large amplification horn was used to play his collection of classical music. 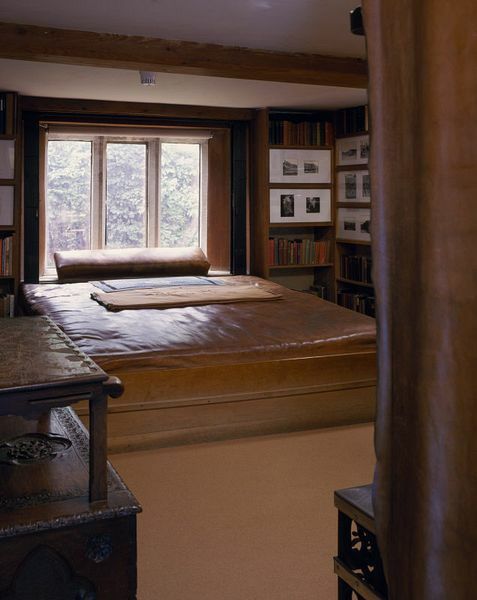 is Lawrence's bedroom which is lined with aluminium foil, which he thought would be good insulation in the damp and chilly cottage and a simple bathroom was eventually installed. Lawrence had two sleeping bags which can still be seen, one was embroidered "meum" or mine, the other marked "tuum" or yours, which many eminent visitors slept in over the years. In 1965, coinciding with the release of the film of his lifestory, the second sleeping bag was stolen. Thirty-six years later a battered parcel postmarked from Belgium was delivered to the National Trust simply stating "this is yours" and the sleeping bag was returned to the cottage! Outside is the old garage which once housed Lawrence's beloved motorcycle and is now used to display photographs of his life. The house also has a fascinating collection of memorabilia detailing his life in the RAF and his links to the Middle East. His original furniture and simple possessions remain in a fascinating timewarp. Lawrence left the RAF in 1935 and planned to live at Clouds Hill. Just a few weeks later, at the age of 46 he was critically injured after a motorbike accident. He died a few days later at Bovington Camp Hospital, leaving Clouds Hill to his brother. 1 mile north of Bovington Tank Museum, 9 miles east of Dorchester, 1½ miles east of Waddock crossroads (B3390), 4 miles south of A35 Poole-Dorchester. Wool 3½ miles; Moreton 3½ miles.